Love Zoe 22 values our customers and we respect your privacy. We will not share your personal information with any third parties. 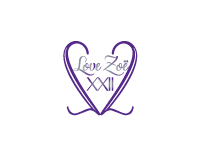 However we would love to see you share your style so if you forward us your personal photo with you modeling your Love Zoe 22 purchase your photo could end up on our website or on other social media channels. Please note that submitting a photo will give us authorization to use your photo to market our brand. Love Zoe 22 accepts orders 24 hours a day, every day of the week. Orders are processed in the order they are received and expedited shipping orders, such as Priority and Express shipping, are elevated in priority to meet the delivery deadline. All orders are shipped from our location in North Carolina via UPS . Orders placed are usually processed and shipped within 2~4 business days from the time the order is placed. Priority and Express orders placed before 10:00 AM EST will be processed and shipped out the same business day. Priority and Express orders placed after 10:00 AM EST will be processed and shipped out the next business day. Orders placed from Friday to Sunday will be processed the following Monday and shipped within 2~4 days. We currently do not ship to APO or FPO address. You will be charged at the time the order is placed. When your order ships, we will email you a shipping confirmation with the tracking information.